Disclaimer: We are not nut free or kosher, and products shown may be subject to substitution as product and packaging is available. Viva Italia! Celebrate everything that’s Italian with this exquisite classic Italian sampler basket. A complete dinner for two is enclosed, including dessert! For the fruit fanatics, the finest fruits from around the world. This colorful basket will burst with a selection of our best seasonal fruits all hand picked by our experienced team. Season’s greetings and warm wishes! Our holiday baskets are filled with everything gourmet to express your warmest holiday wishes. Any item can be added to any holiday basket – prices will vary depending on add on items selected. This basket is brewing with an assortment of coffee beans, cookies, biscotti, flavored syrups, and chocolate coffee treats. This basket is the perfect gift for the coffee connoisseur. 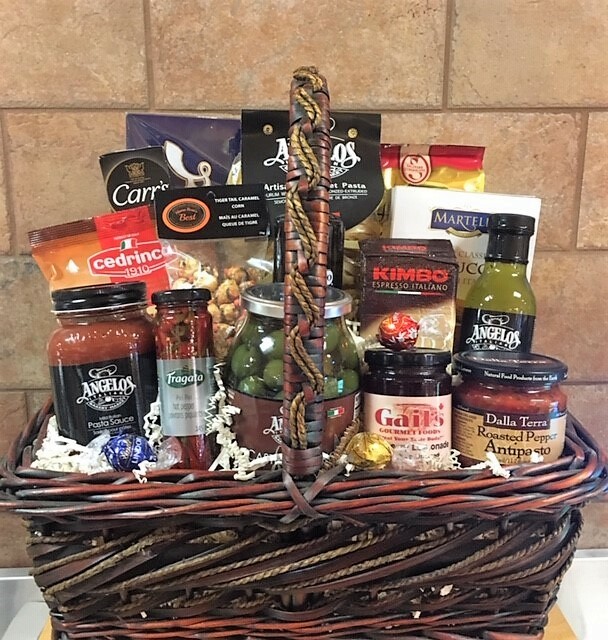 One of the best ways to experience Angelo’s without actually traveling there, is through our custom-designed gift baskets. Each basket is designed to reflect the personal taste of even the most particular food lover. 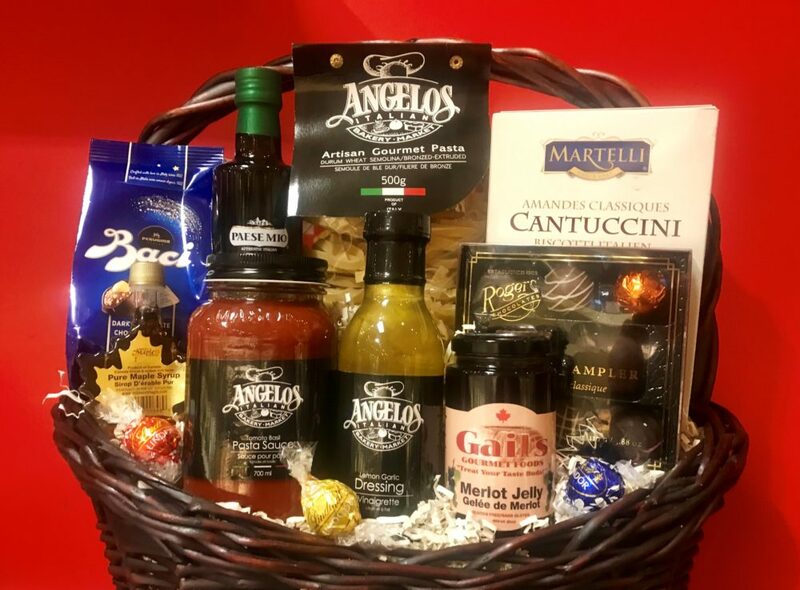 From coffees to imported cheeses, chocolates and specialty food delicacies, Angelo’s has the ingredients for any inspired gift.